How the PLO went from building a developmental state in exile to accepting a neoliberal economy under colonialism. Until scattering to all corners of the Arab world as a result of the Israeli invasion of Lebanon, the PLO administration had effectively shared sovereignty with the Lebanese state over a large swath of the country for most of the preceding decade and had developed state-like institutions. Even in the exile of the refugee camps of Lebanon, the PLO found it difficult to resist pretensions to “national” state-building goals. This was a natural defense mechanism in an environment dominated by Arab regimes that were as threatened by the rise of the Palestinian armed revolution and the wave of popular mobilizations that it inspired throughout the region as they were caught up in it. The PLO entered Lebanon in the early 1970s fleeing after its “Black September” showdown in Jordan with a Hashemite regime that could no longer tolerate the movement’s effective sovereignty in parts of the kingdom amid a sympathetic mass of Palestinian refugees. Over the following years, the PLO established a massive military-security and political presence throughout the camps and in much of the south, east, and north of Lebanon. But it was prevented from any similarly autonomous existence in neighboring Syria, whose newly installed Baathist Arab Nationalist regime was no less wary of the PLO than other governments in the region. Alongside that, an elaborate system of civilian social services (health, educational, and welfare), community and party popular mobilization, trade unions and industrial production, and marketing enterprises had taken root in Lebanon by 1982. The PLO, especially its leading Fatah faction, also channeled hundreds of millions of dollars of Arab official aid and taxes collected on its behalf from Palestinians working in the Gulf states, while also operating a clandestine financial network to fund the armed struggle in Lebanon and elsewhere. Despite the military and political defeat ultimately endured by the Palestinian national movement in Lebanon, this broader institutional landscape seemed for a moment to manifest the PLO’s “viability” as a forerunner of the national state project in a future liberated Palestine. The most prominent Palestinian industrial organization in Lebanon by then was Fatah’s Samed Institution, established to produce for both the PLO and the broader Palestinian market. Samed embodies aspirations that go beyond the original goals set for it, and it is a school for fighter-workers, a structure for training the children of martyrs, an industrial base to employ them, together constituting the core of the independent Palestinian economy and of a Palestinian public sector liberated of bureaucracy and infused with the determination and spirit of revolution. And yet within a little more than a decade the PLO had signed off on an economic policy package within a limited self-government deal with Israel that aborted the plans and possibilities for an independent Palestinian economy and enshrined a free-market system in line with neoliberal globalization and trade liberalism. Over thirty years have passed since Beirut’s “Fakhani Republic” was relegated to just one more chapter in a long Lebanese civil conflict and the exile of the Palestinian resistance movement. The heralded Palestinian public sector has been reduced to a $2 billion corporate investment fund with limited public oversight and some leftover assets in international financial markets. The top-heavy Palestinian bureaucracy is limited to the management of the handful of resource and commercial rents that its soft-touch regulatory role permits. Meanwhile, the spirit of revolution is hard to discern in the restaurants and leisure spots of the de facto capital of Ramallah or in the burgeoning gated communities that adjoin the city. When and why did the Palestinian revolution abandon its national liberation economic development program? What went wrong, or perhaps, what went right? Was its liberationist path subverted by the forces of neoliberal capitalism in a bogus “money-for-land and-peace” deal instead of the “land-for-peace” formula that supposedly underpinned the Oslo agreements with Israel? Or, as so many of its predecessors in the Global South, did the PLO simply succumb to the same pitfalls of nationalism that Frantz Fanon warned against in newly independent countries, namely that once in power the nationalist revolutionary elites could remain under the sway of the former metropole and trade one form of colonialism for another? It would appear from the almost seamless transition that the national liberation movement leadership and ruling elites made from their pre-Oslo militant stance to the accommodating position towards Israel, global powers, and the lures of neoliberalism since the 1990s that the PLO has not differed in that respect from many post-colonial countries. Yet even so, why did it accept to do so within the framework of prolonged occupation and colonial rule? The trajectory of “national economic thought and practice” is a part of Palestinian revolutionary history that has yet to be researched and one of which this essay can only scratch the surface. The most telling documents that chart the shifts in Palestinian economic thought and policies before and after Beirut (1982), between Madrid and Oslo/Paris (1994), during the Arafat Palestinian Authority (PA) regime in the occupied territories and also since 2005, will most likely remain inaccessible for years to come to researchers and historians, if they even still exist. Similarly, little has been written about how Palestinian capital survived the 1948 Nakba and reformed in the Gulf and Arab States in the exile of the 1950s and 1960s in the wider context of Pan-Arabism, and then re-emerged as an ally of the Palestinian revolution and more recently as a partner (if not leader) in Palestinian economic development. Class formation processes are no less important a dimension of the broader context that shaped PLO economic ideology and, some would argue, the determining factor in the decline of the economics of national liberation and the rise of Palestinian market fundamentalism more recently. Indeed, much critical comment in the past years, including by myself, has focused on the trade off implicit under recent PA policy (if not since Oslo) between the two NLs (national liberation and neoliberalism). On the other hand, apologists for PA economic policy assert that it was in line with economic orthodoxy as espoused by the Washington Consensus, not inconsistent with achieving Palestinian national goals, and anyhow was the only option permitted under the political framework the PLO has adopted for the past twenty years. Many of those liberal Palestinian patriots who matured after Oslo know or care little about the origins of Palestinian economic nationalism. Others who accompanied the PLO from Beirut to Ramallah had by the 1990s (especially following the fall of the Soviet bloc) largely abandoned the concept of a leading public sector and acquiesced to neoliberalism, perhaps unconsciously. This has become the credo of the PA government policymakers, academics, and most economic researchers. Yet the PLO and its economic policies continue to derive their legitimacy from claiming to represent the Palestinian people’s national rights. While it has tried to assume some of the responsibilities of statehood in the self-governed areas of the occupied territories, it has not delivered on its promise of national self-determination or otherwise closed that unfinished chapter of Palestinian history. So a better understanding of what the Palestinian public sector once was, or aspired to be, is not only of historical interest. It is also instructive in assessing if, and how, a “role of the state in development” might yet be reasserted in Palestine, even in a context of unabated capitalist accumulation and an unresolved struggle for decolonization. In the period after 1948, and at least until the beginning of the armed resistance movement in 1965, Palestinian intellectual and economic elites (especially those in exile) began to re-emerge or build themselves from scratch in the wake of the Nakba and shock of exile. The Palestinian bourgeoisie was already well established before 1948, with an apparent influence and reach into the neighboring Arab countries. Many were drawn to different strands of pan-Arab nationalism (or, alternatively, communism), and Palestinian national liberation thought as such was still unpopular. For those Palestinians in exile who aspired and organized for return and liberation, the developmental state models proclaimed by the different champions of Arab socialism seemed politically viable and socially just in the post-colonial Arab context and in the parallel experiences of many countries in the developing world. For others simply trying to reconstruct their livelihoods in exile through integrating into Hashemite Jordan or working in the Arab Gulf States, the fruits of capitalism were perhaps something of an antidote to the pain and alienation from the loss of a homeland. No wonder that the most influential (and widely mistrusted, if not misunderstood) Palestinian capitalists of today, the Masris, Shomans, Khourys, Sabbaghs and Aqqads, claim to view their own investments in Palestine through the lens of “return” and “homeland” as much as profit and loss. After the emergence of the armed resistance movement (based in Jordan and Syria and later in Lebanon), funding and financial management of its military and political wings became a major undertaking for Fatah and PLO factions. The 1970s witnessed the first social, industrial, and employment generation projects managed and funded by Fatah, beginning in Jordan. These were needed mainly in order to discharge the rapidly growing social responsibilities assumed by a political leadership that sought to mobilize and organize the resources of the Palestinian people everywhere in its struggle with Israel after the 1968 Battle of Karameh. The Fatah Institution of Social Affairs (ISA) assumed a growing role in providing social security payments to martyrs’ and prisoners’ family members and later provided educational, health, and other services for martyrs’ children. Indeed, it was probably the first PLO “institution” thus named. After the PLO was uprooted from the camps of Jordan, social welfare functions were supplemented by economic activities. These focused on securing more cost-effective, self-reliant forms of supply for the PLO administration, vocational training and jobs for the camp workforce, and financing for some of its other activities. Samed was the most notable venture in this respect. Another pioneering industrial-technological “center of excellence” was the Fatah “Scientific Committee,” which was essentially the nucleus of a rudimentary military industry. It provided weapon maintenance and repair services, as well as simple armaments for the PLO and experimenting in industrial design to enhance the reach or efficiency of a growing arsenal. It was something of a forerunner to today’s missile and armaments production, which the Palestinian resistance has developed in the Gaza Strip. While the camp-based labor force in Lebanon in 1980 numbered around twenty-one thousand, not including the many Palestinians living and working outside the camps, many of these were PLO military, administrative, or political employees. The PLO evacuated fifteen thousand personnel of the latter contingent when it withdrew from Lebanon in 1982, so in retrospect the scale and complexity of the Palestinian public sector in exile (in the broadest sense of public service employment and services) is no less significant than its self-government version today in Palestine. With the mobilization of mass organizations, such as professional and trade unions, additional forms of socioeconomic concern and initiative were promoted by all PLO factions, such as consumer and production cooperatives and camp self-reliance home-production projects (embroidery, handicrafts, food processing), not to mention cultural, educational, and social service provision. The PLO Research, Planning, and Information Centers in Beirut enriched the statist institutional landscape by publishing books, technical/academic journals, newspapers, and advocacy material, covering all imaginable facets of Palestinian social, political, and economic conditions inside and outside Palestine. Fatah was not alone in such ventures, and the Palestinian leftist factions had smaller scale, less ambitious self-financing projects that extended their reach. But it should not be surprising that the historical record of this social and economic experiment was largely one powered and registered by Fatah. It had wider mass political support, greater financial resources, less stringent criteria for performance and success, not to mention the ability to mobilize broader inter-class engagement in its economic projects (including portfolio management on its behalf by Palestinian bankers in Beirut and the region) than its rivals. This meant that for all the “right-wing bourgeois” alliances it manifested in the Palestinian leftist narrative, Fatah was able to claim the mantle of promoting the “public good” and pioneering a real-world quasi-socialist social and economic project. In one of the paradoxes of Palestinian political history, it was the leftist tendency within Fatah that not only provided an umbrella of protection for the non-Fatah PLO left factions to function and take part in decision-making, but also left the faint imprint of the “developmental state” in the revolutionary history of that period. Once it was cast out into the Arab wilderness after 1982, even further from the Palestinian people’s villages, towns, and refugee camps than before, the PLO economic enterprise had to be reinvented. By then, the strategy of entrapping essentially hostile Arab regimes into providing the protective “front-line” state role for a viable cross-border armed struggle had been smashed to pieces in Lebanon. The failure of the Arab regimes, especially the Baathist Syrian and Iraqi self-proclaimed champions of the pan-Arab struggle, to prevent the Israeli victory in Lebanon made the PLO’s political isolation all the more apparent. This prompted increasing resort to affirmation of the “independent Palestinian decision” that Yasser Arafat emphasized to insist that Arab regimes should neither interfere in PLO internal affairs nor represent the Palestinian people after the 1974 Arab Summit (and UN) resolutions accorded that status to the PLO alone. So just as the leadership and military forces of the national movement became more exiled than ever, and spread around Tunisia, Algeria, Sudan, and Yemen, its economic project had to be transformed. This was needed for operational (funding) reasons, as well as the physical detachment of the PLO leadership and military forces from its mass base for the first time in its twenty-year existence. This shift accompanied the political re-positioning of Palestinian political and diplomatic focus from the camps of the shatat to the occupied territories, as well as within Israel, while Palestinian military operations against Israel from outside and inside Palestine soon resumed, exposing all PLO activities to continuous Israeli retaliation and deterrence measures. Whereas the confrontational posture with Israel remained the order of the day throughout the 1980s, the means and requirements of the struggle had to change. The distancing of the PLO from the borders of Palestine undermined the feasibility of pursuing armed struggle from abroad with impunity — a message that many contemporaneous PLO leaders paid for with their lives for not heeding. With the military weakening of the PLO, a political and diplomatic strategy became increasingly prioritized, while armed mobilization inside the occupied territories also resumed. Meanwhile, the need to reinsert the PLO into the socioeconomic fabric of Palestinian life led to numerous new links with Palestinian political parties, communities, and NGOs in both Israel and the occupied territories. Indeed, well before the eruption of the First Intifada, the PLO had designed the first “Program to Support the Steadfastness (Sumoud)” for the Palestinian people inside the occupied territory. This shift of attention from the Palestinian communities in Syria, Lebanon, and Jordan — with which the PLO could no longer interact — to the Palestinian people inside the occupied territory and Israel was first and foremost a strategic political reorientation. But it also gave the PLO a chance to translate its national economic vision from the experimental and ad-hoc conditions that shaped it in Beirut into more concrete projects targeting the social and economic needs of the Palestinians living under occupation. Sumoud, drawn up largely by Fatah economists and planners, had been originally endorsed at the 1978 Baghdad “Steadfastness and Resistance” Arab Summit and was partially funded in the following years by the Arab states. A Jordanian Palestinian Jordanian Committee (JPJC) was established that channeled over $400 million of Arab funds (less than half of that pledged) over a ten-year period to a wide range of housing, agricultural, industrial, research, cultural, educational, and health projects throughout the occupied territories, mainly in the form of soft loans. This provided an important lifeline to many communities, while also serving as a patronage tool for both the Jordanian and PLO interests that the JPJC reflected. In the perfect “Palestinian marriage” between the political and the economic, the PLO representative on the JPJC was Khalil Al-Wazir, also in charge of Fatah military operations against Israel, and staff seconded by him ran the JPJC “Technical Office” in Amman, particularly after 1982. The JPJC represented the first organized, systematic, and professionally guided “development aid” provided to the Palestinian people. Unlike today’s international aid flows, 80 percent of which are transfer payments to help cover salaries and budget deficits, all the JPJC funding was earmarked for concrete projects, institution building, and development in the broad sense of the term. Though monitoring expenditures on the ground was difficult from a distance and the bulk of the funds that were provided on credit terms were never repaid, the JPJC funding constituted a critical lifeline for Palestinians under occupation at a moment when the PLO needed to reassert its relevance and leadership role. Even as a weakened, exiled PLO continued to resist in the wake of its post-Gulf War isolation, the ensuing Madrid Peace Conference set in motion political negotiations that continue into their third decade. This drawn-out process in itself implies a trade-off between pursuing national liberation through resistance or through cooperation, the disastrous results of which are witnessed today more than ever. But this inherent constraint is not adequate to explain the dramatic policy reversal that the PLO undertook when it signed off on the “Protocol on Economic Relations” with Israel as part of the Oslo accords. An important dimension of the dynamics of the retreat of developmentalism in Palestine was the rapidly transforming global and regional political scene at the time. The collapse of the Soviet bloc meant that while the PLO bought into the Madrid process in 1991 with USA–USSR co-sponsorship, by the time the Oslo accords were reached in 1993 the bilateral Israeli-Palestinian track had become dominant. Only when the peace process was threatened by the Second Intifada was some nominal multilateralism restored and a UN “Quartet” eventually created that included the US, Russia, the EU, and the UN. But by then, the PLO had welcomed with open arms the engagement of influential Washington and Brussels players, who came armed with money, political influence, and a textbook of technical advice, not to mention their own secretariat in the form of the Bretton Woods Institutions (BWIs). By this point, the Palestinian left was no less exhausted by the Beirut-Tunis trajectory and certainly was in no position to offer an alternative to the Fatah drift towards Oslo or neoliberalism, as subsequently enshrined in the Paris Protocol. By 1993, PLO negotiators were quietly being drawn into a secret deal with Israel in Oslo, led by one of the “left-Fatah” officials — Ahmad Qurie (Abu Alaa’). Indeed at the same moment, the same official — who was also the director general of both Samed and the PLO Economic Department — was putting the finishing touches in Tunis on the “Program for the Development of the Palestinian National Economy 1994–2000,” a monumental achievement by Yusef Sayigh and a team of Palestinian experts. The first “PDP” was fully in line with the heterodox, public goods, social justice brand of economics that was Sayigh’s trademark. It was intellectually consistent with the tradition of economic nationalism of the PLO and reflective of the actual conditions and requirements for establishing a Palestinian economy that was geared to ending, rather than accommodating, occupation and dependency. The PDP at once harked back and projected forward to a different era, but at a moment that the forces of global economic liberalization were being unleashed. Meanwhile, PLO leaders were increasingly open to any formula that would return them to Palestine and that might achieve what they believed would be a short transition to independence. Even the PDP was modified at the last moment to include a “transitional period” of self-government without altering its core principles, goals, or institutions. In retrospect it is not difficult to see why the PDP, which represented the culmination of the thinking of an earlier generation, didn’t stand a chance once the World Bank arrived on the scene in 1993. The forceful entry into the Palestinian economy arena, especially after 1993, of the BWIs and the powerful appeal of the World Bank’s first (of many) publications on the subject added an influential player to a scene that had been previously dominated by Israeli unilateralism. Indeed it appeared for a moment that the stars were aligned in favor of an international push for Palestinian development, based on the first PLO “Programme for the Development of the Palestinian National Economy” that had just been completed in 1993, with UN and BWI institutions working together. But the UN agencies’ mandate of “assistance to the Palestinian people” became subjugated to the BWIs “support to the Middle East peace process” agenda that has defined the parameters of their Palestinian engagement since then. “International legitimacy” has always meant for the Palestinians and the UN one thing: UN Resolutions 181 (1947) on Partition of Palestine, 194 (1949) on Right to Return, 242 (1967) on Israeli withdrawal from the occupied territories. But for the US and most donors, the IFIs, and Israel, their only binding referential mandates are the 1991 Madrid peace conference, the 1993 Oslo Accords, and the 1993 Paris Protocol. The awkward marriage between these hitherto opposed parties was best epitomized by the appointment of the seasoned Norwegian diplomat and Oslo negotiator Terje Rod Larsen to the newly created USG post of UN special coordinator for the oPt (and for the Middle East peace process). This new UN beast, UNESCO, at once reflected the common interests of donors and IFIs, Palestinians, and Israelis and was staffed accordingly. The UN, too, added its influence to the pressure on the PLO to accede to the unbalanced terms of Oslo and (for the five-year interim period) to adopt the customs union with Israel in Paris that after twenty years has become an albatross burdening the Palestinian economy. There has been some recent debate amongst Palestinians as to whether so-called (Salam) “Fayyadism” in its economic dimension is only a higher stage of “Arafatism,” insofar as the latter had approved all the economic arrangements with Israel that the former simply took to their logical conclusions. After all, the Fatah economic project was never socialist. Samed aspired to operate according to market criteria, and while the PDP might have been a sound national development program, it was certainly not a manifesto for democratic planning. The PA under Fayyad may have witnessed a greater degree of centralization and clarity of financial functions under the minister of finance/prime minister (instead of the PLO chairman), largely at the behest of donors and the IMF. But the core economic philosophy and policies of the PA under the Paris Protocol have been constant for the past twenty years, while shifting gradually more to the right in the past five to seven years. More pertinent perhaps is to consider the limited options that the nationalist leadership (and an exhausted resistance movement) had in the early 1990s. These constraints were obvious both in terms of the ability to resist the terms of a dictated “peace settlement” and the capacity to manage the lives of some three million Palestinians with only a somewhat patchy record of institution building in exile. And the opportunity that Oslo offered for expatriate Palestinian capital to link up again with the PLO, except this time inside Palestine in a shared economic and investment program, meant that the PLO could only embrace the new world economic order. Was There Ever a Palestinian Public Sector? I have always found it misleading when official Palestinian and international development discourse refers to the “leading role of the private sector” in Palestine. This presupposes the existence (or, in the eyes of some, the threat) of a “public sector” of the economy in the conventional sense of the word, whereby the state owns and operates economic, commercial, or utility enterprises. But the Palestinian economy is and always has been fully a private-sector economy, so really the term is a something of a canard. The 1990s did witness much rent-seeking and some attempts to manage these through public monopolies and commercial ventures in what Mushtaq Khan has analyzed as Arafat’s rational strategies to counter Israel “asymmetric containment.” Yet the PLO entered the scene after 1993 bankrupt and effectively dependent on the potentials of limited rent management and some public revenue from trade and taxation intermediated with Israel, as well as the kindness of donors that since the Second Intifada again brought the PLO to its knees. Indeed, the first IMF order of the day in 2001 was to establish new mechanisms for cutting off the remaining sources of off-the-books income that Arafat had managed to maintain even in the confines of the Oslo framework and to privatize the remaining economic assets and rents managed by the PLO. So looking for a Palestinian public sector in the post-Oslo period is probably a futile exercise. But to what extent was the pre-1982 goal of a “national economy” and a “public sector liberated of bureaucracy” simply reflective of some blurry patriotic vision of the future, as articulated in that period by Khalil Al Wazir? The significance of what Samed does is in the productive operations that it undertakes that help to preserve our people’s productive skills and in training more of them in modern production techniques. The Palestine that we dream of will depend on the resources of its people and their ability to rebuild it. Or perhaps such rhetoric was more about the nature of the economic project at hand in the circumstances of Beirut, when the national liberation trajectory that the PLO had embarked on was still predominant and the lure of power, money, and the good life had yet to entrap tiring PLO leaders and cadres? With all its limited but increasingly forgotten achievements and all its oft-cited failings in economic institution-building in Lebanon and elsewhere, through the First Intifada and until Oslo the PLO had remained faithful to the national liberation model of a leading public sector and social policies that benefited the broad masses of the Palestinian people. Skeptics today might argue that adhering to that economic vision was superficial and more about political survival in those circumstances than ideological or intellectual sophistication, especially since it was so abruptly abandoned in the 1990s. Regardless of the internal and external factors that contributed to the rapid decline of developmental public-sector ideology, the record of PLO social-economic institution building in the fleeting moment of “sovereignty” it enjoyed in Beirut until 1982 deserves recognition for what it was and for the traditions it embodied. That earlier revolutionary period, for all its failings and limitations, embodies the substance (though perhaps not the form) of an alternative to today’s self-government model emanating from Ramallah. This is especially so because the non-sovereign, non-liberated Palestinian people living under Israeli control have been co-opted into a neoliberal economic and political trajectory that has largely renounced resistance and undermined the imperative to struggle for national self-determination, in an unabashed flaunting of Fanon’s lessons. Instead, what is needed is that Palestinian public authorities take the lead in sovereign “state building” — alongside a national liberation struggle, and not instead of it. From the vantage point of Ramallah in 2014 and recalling the path taken for the thirty years since Beirut, and most critically those since Oslo, what should Palestinian policy makers and PLO leaders conclude about the sort of state that the Palestinian people deserve after so many years of revolutionary struggle, social transformation, and institution building? It would be naïve to expect after so much attrition of the very concept of a Palestinian public sector, that any reversal in PA economic policy can be countenanced by the PLO and Fatah leadership, at least within the prevailing balance of economic and political forces in Palestine. This is not only because of how neoliberal economic thought and values have become acceptable, indeed desirable, to ruling elites and even the broader middle-class constituency of the PA. Nor is it simply because of the extent to which capital investment has been committed to the PA project in its current form. The identity of an alternative to the continued decline of Palestinian economic thought and practice may be found not just in some of the earlier stages of Palestinian economic history and practice outlined here. There are also some signs of life in the economics of sumoud tradition that was once the only Palestinian narrative, especially in grassroots experiences on the ground in Palestine. While even the recent PLO announcement of the planned establishment of a “national” oil and gas company is rhetorically in tune with that tradition, it remains to be seen whether the more muscular “guardian of public goods” posture recently adopted by the PLO investment arm, the Palestine Investment Fund (PIF), amounts to more than grandstanding in the face of growing public awareness of the bankruptcy of prevailing economic, not to mention fiscal, policy and the institutional degradation of a toothless and aimless PA.
More indicative of a lingering Palestinian “spirit of revolution” are today’s numerous examples of “economic resistance” and sumoud of Palestinian communities in Area C of the West Bank, the persistence of a distinct Palestinian economy in besieged east Jerusalem, the survival of a largely rural, peasant and refugee society throughout Palestine, and other dimensions of the endurance of a greater Palestinian public development good despite the inexorable advance of neoliberal capitalism under occupation. 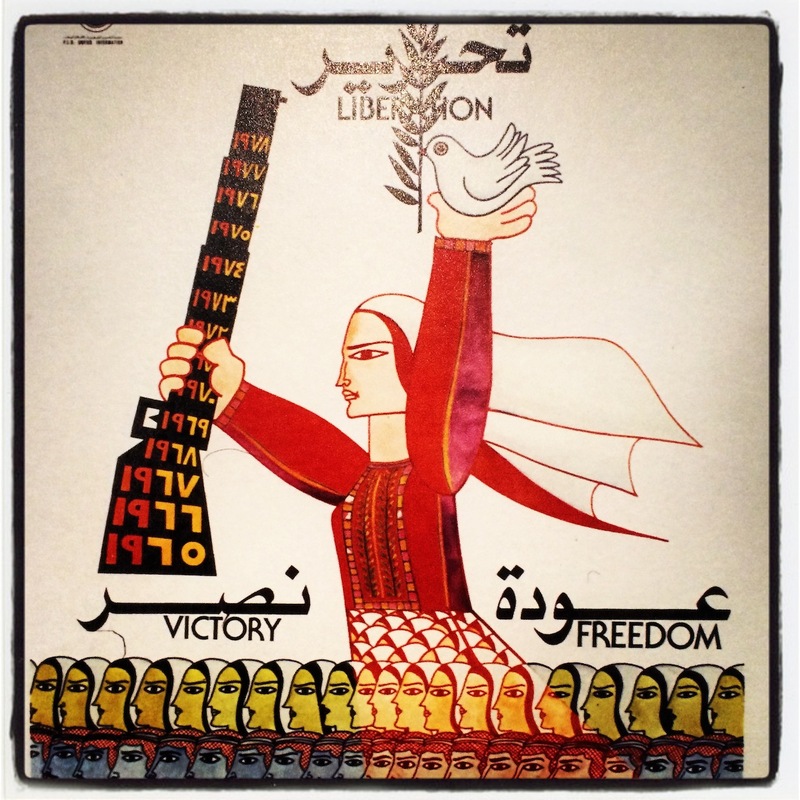 To the extent that the spirit of national liberation is able to re-ignite a coherent Palestinian national movement, especially after the impressive uprisings and armed resistance in different Palestinian areas in 2014, so would the opportunities increase for rebuilding a Palestinian public sector and heeding the lessons of both Fanon and Arafat. Raja Khalidi is a development economist who worked with the United Nations Conference on Trade and Development (UNCTAD). He lives in Palestine.